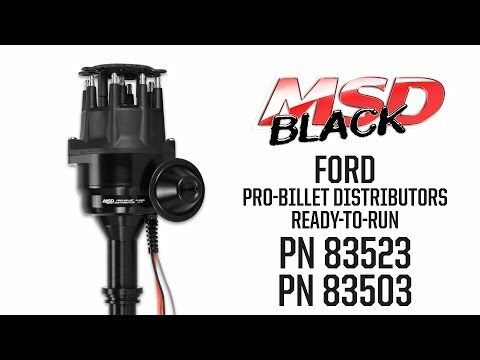 MSD's Ready-to-Run Ford Distributors are the perfect upgrade for bulky DuraSpark systems or ancient breaker point models. These distributors come complete and ready-to-run. All you need to do is drop it in the engine, connect three wires and fire the engine. Each distributor features an ignition module that produces a powerful inductive spark to improve combustion of the fuel mixture resulting in quick starts, smooth idle and increased performance. The billet aluminum housings of these distributors are 5/8" smaller in diameter to accommodate induction setups and tight engine compartments. 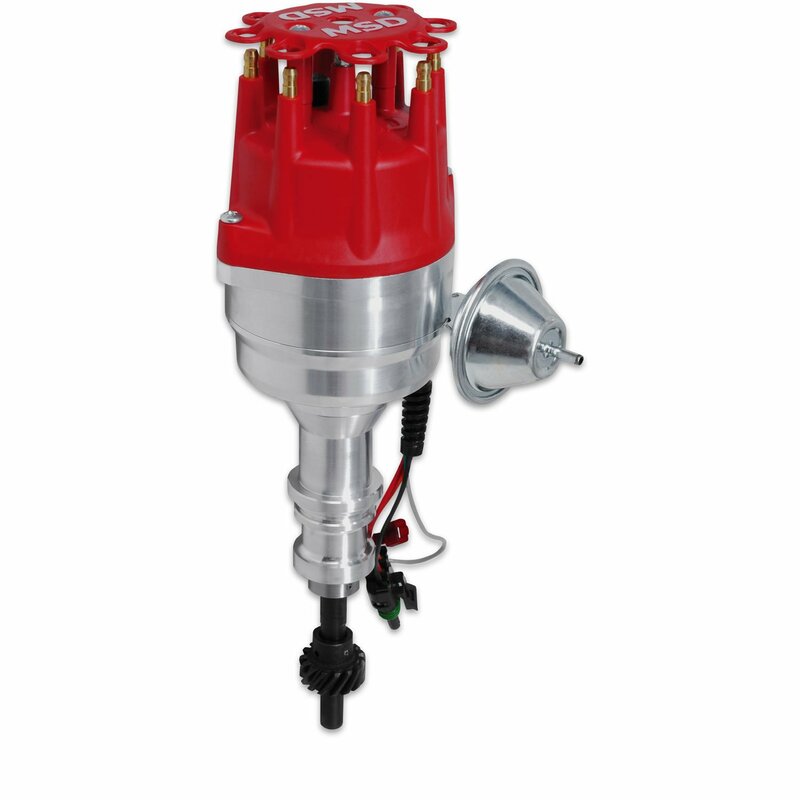 A maintenance-free magnetic pickup is responsible for triggering the high voltage sparks while a sealed ball bearing guides an oversized shaft. 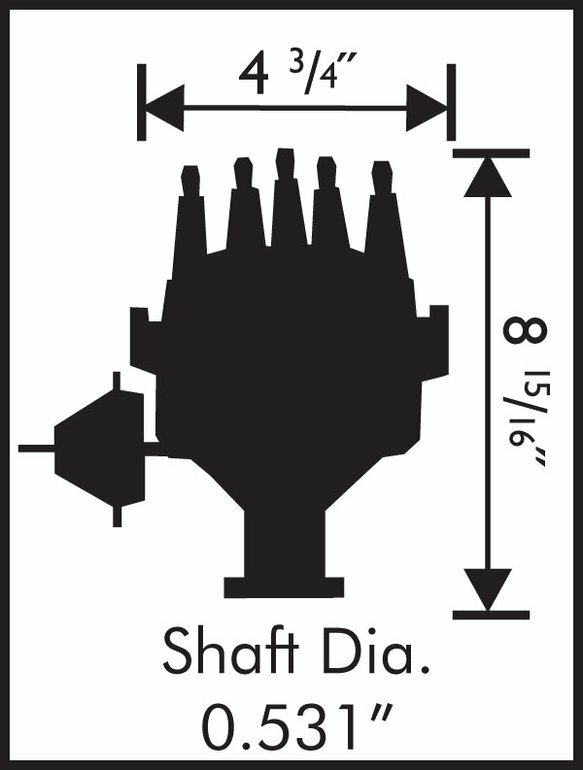 Beneath the bolt down cap and MSD race rotor you'll find MSD's accurate mechanical advance assembly. Different advance springs and stop bushings are supplied so you can easily tune a curve to match your needs. Plus, there is a vacuum advance canister to increase economy on long drives. For protection, there is also an easy-to-set rev limiter!